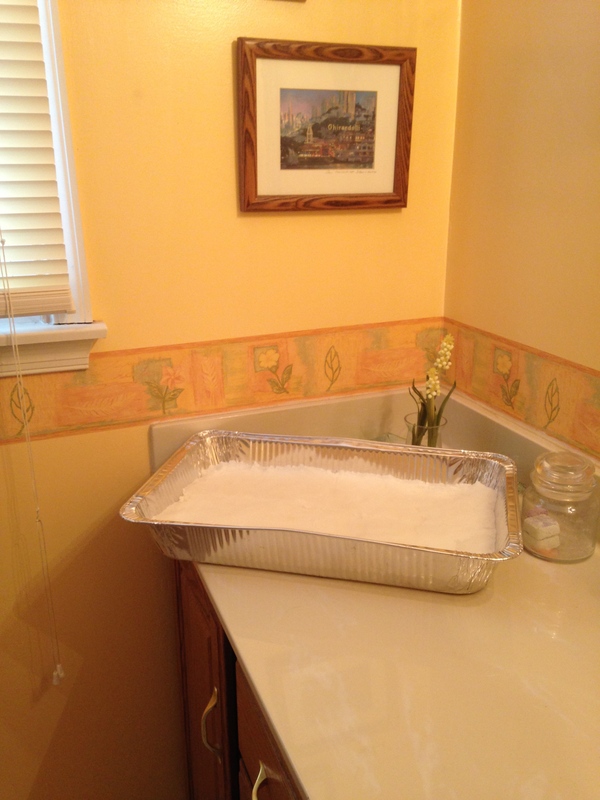 I took advantage of a recent snow day to make sugar cakes for the bees. This is my second winter, so I’ve only made candy, which requires boiling and stirring and timing and thermometers and some messy clean-up. 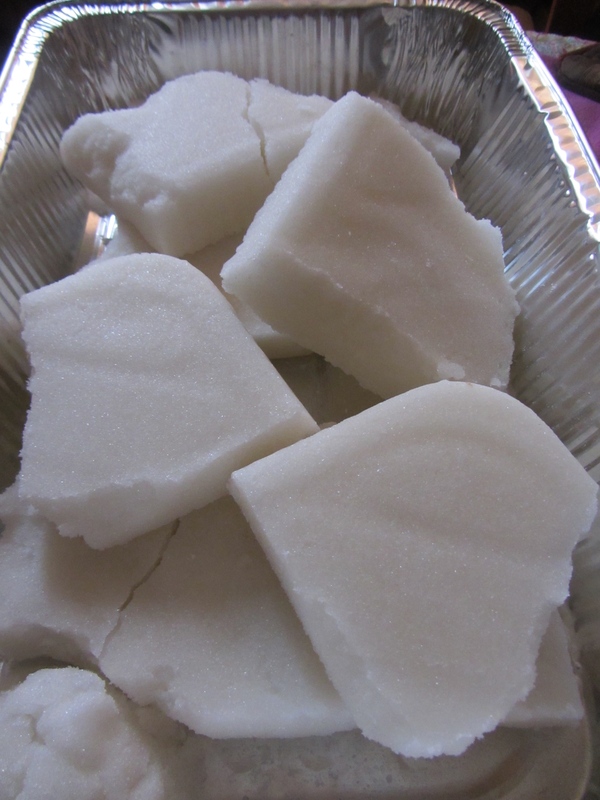 Sugar cakes, on the other hand, are super simple to make and they provide a nice hefty block of food that will last at least a month or two in the hives. It’s good insurance during these harsh cold months. 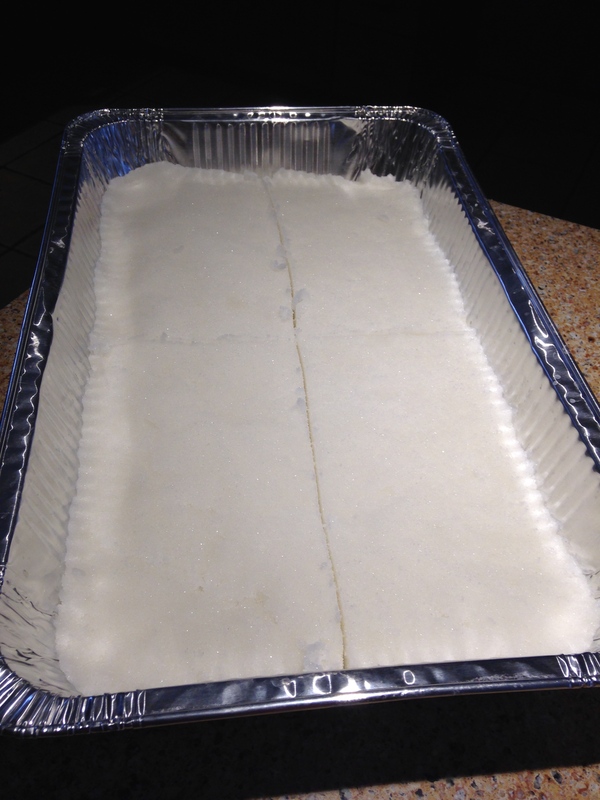 Two 9×13 baking pans or one double large aluminum baking pan from the store works well too, and reduces clean-up. 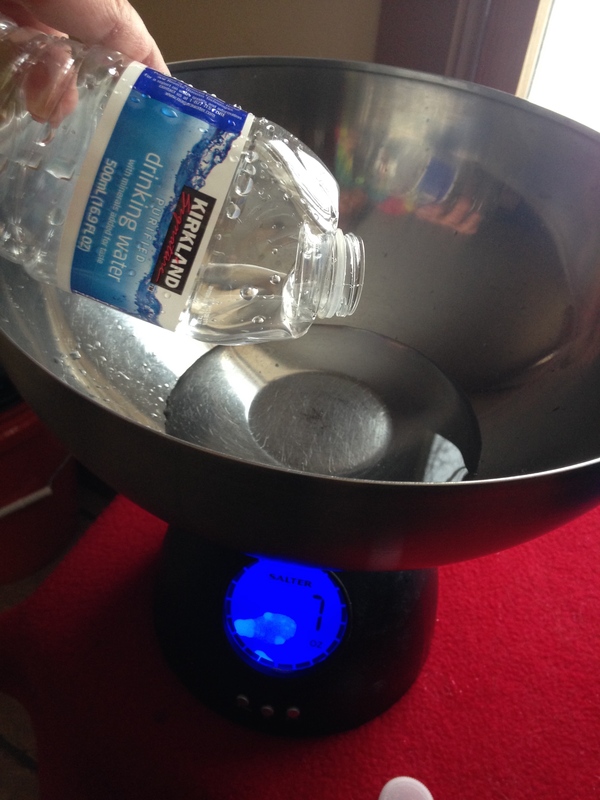 Note: You can also increase the water slightly and add some pollen to this mixture as well. I just add pollen patties to the hive. 1. Measure out your ingredients. 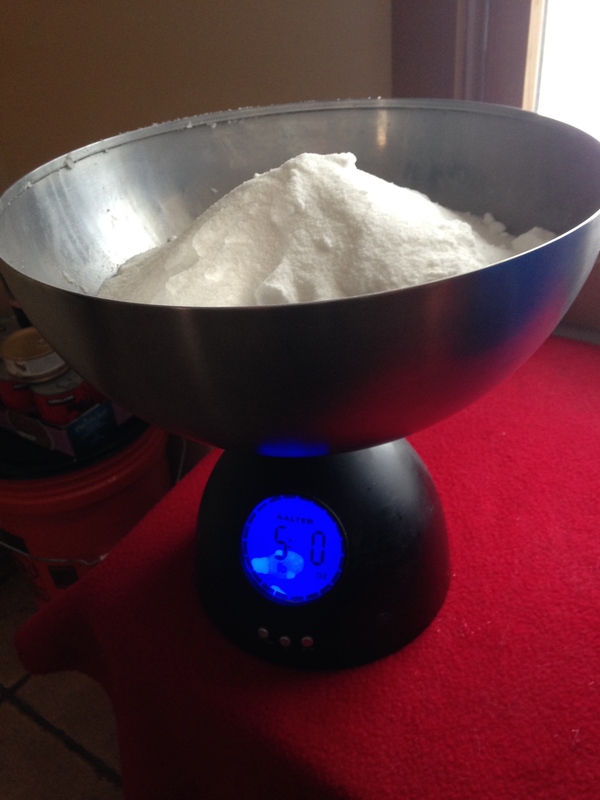 If you use the large bags of sugar like me, then a kitchen scale that weighs up to 10 lbs or more is handy. 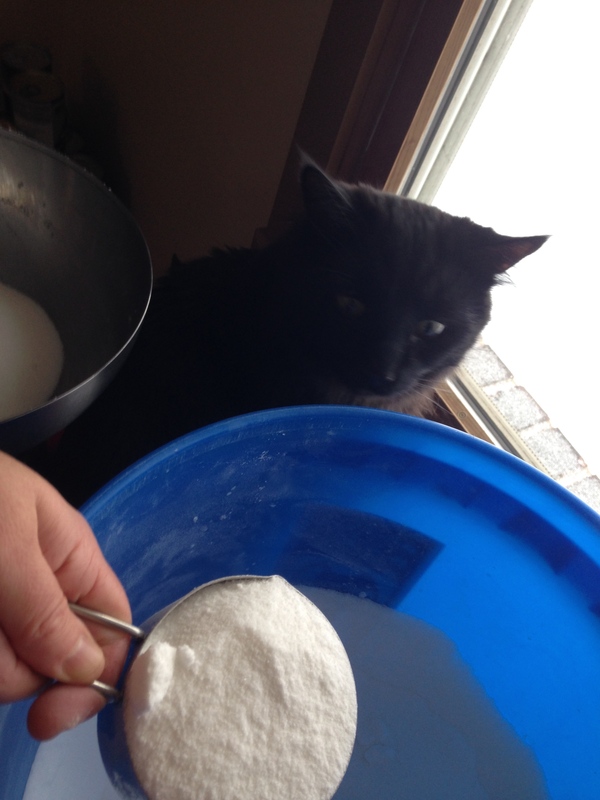 Also handy is a kitchen helper who can offer an extra set of eyes to make sure your measurements are extra precise. 2. 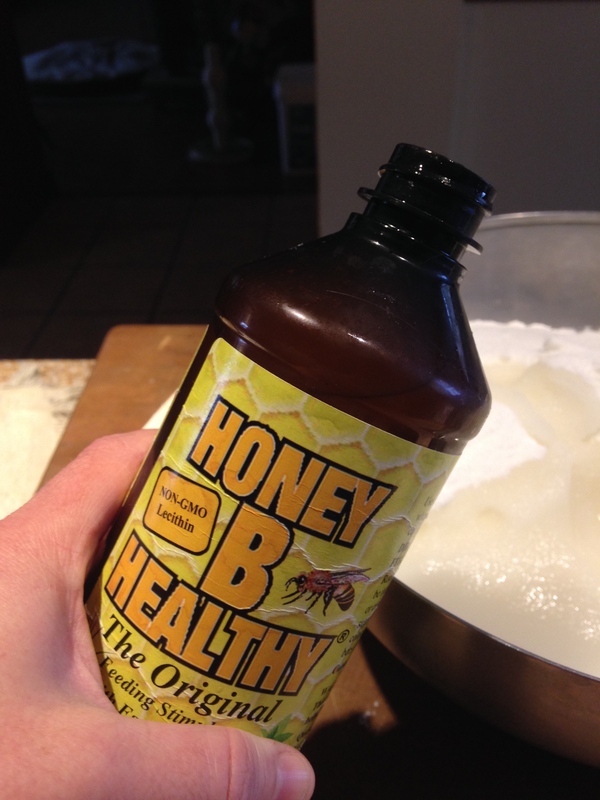 Add the water and Honey B Healthy to the sugar. 3. 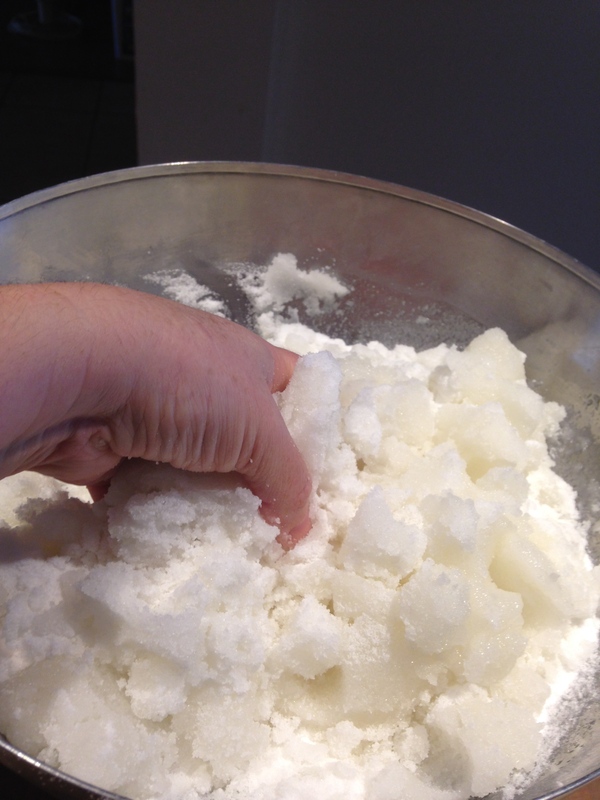 Begin stirring with a spatula or spoon, then just use your hands to work it into an even dough. 4. If preferred, you can line your baking pan(s) in parchment paper so it can be easily transferred into the hives without falling apart. 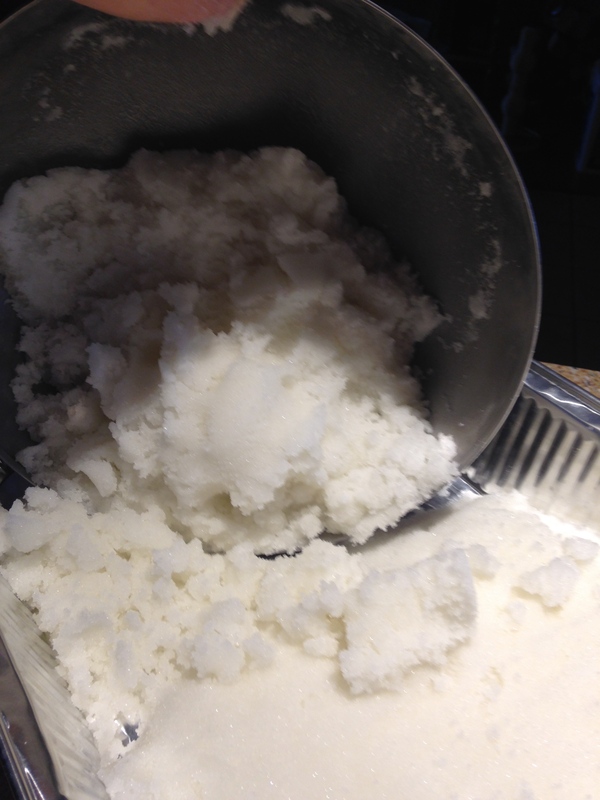 The mixture will dry and becomes quite solid, so I don’t bother using a liner. 5. 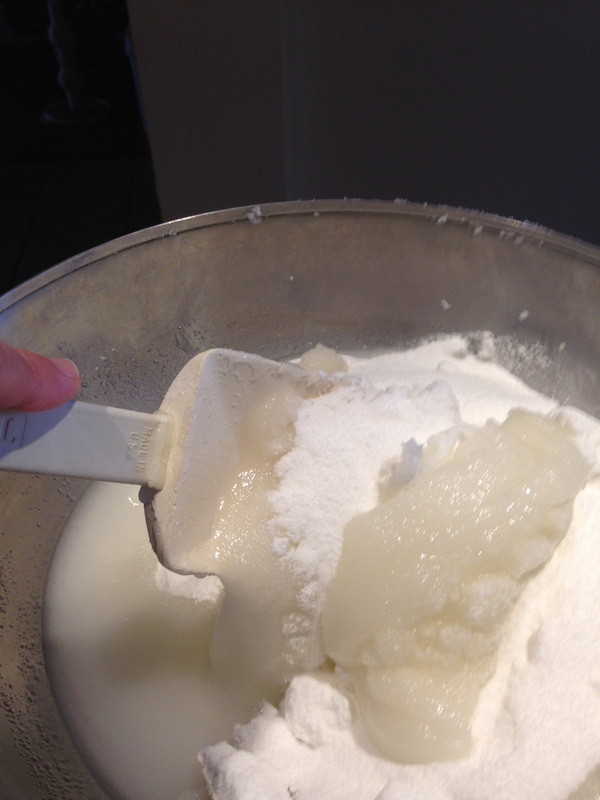 Pour the sugar dough into the pan, spread it out evenly, and press it down tightly. 6. 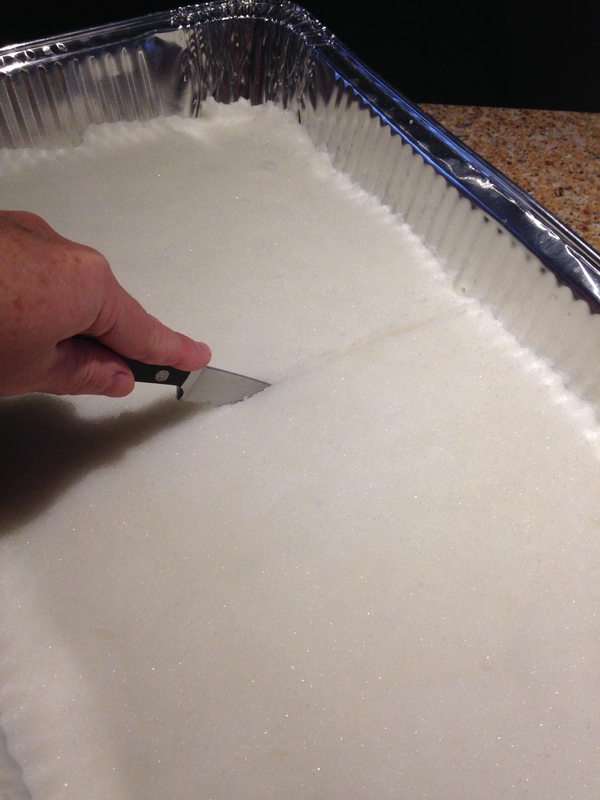 Use a knife to score and section off the cake before it dries. I cut mine into 4 large pieces. I’ll insert one block per hive. 7. Take your finished pan of sugar cakes and place it in a warm, dry room for at least 2 days until it dries out and hardens. 8. Dig out the blocks and allow to dry a bit more. Since the bottom doesn’t get air, it may still bee a bit moist. 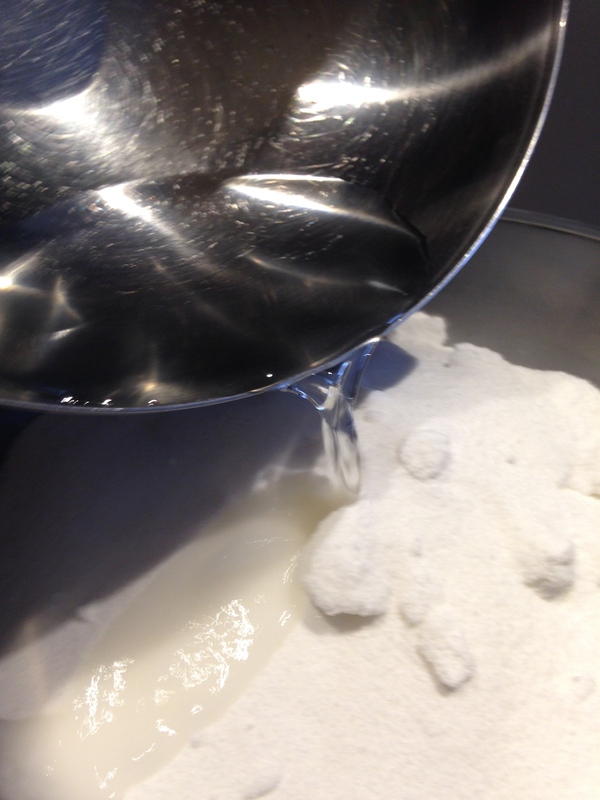 Again, if you use parchment to line the bottom of the pan before pouring the sugar, then you can pull them right up and place the blocks into the hive. 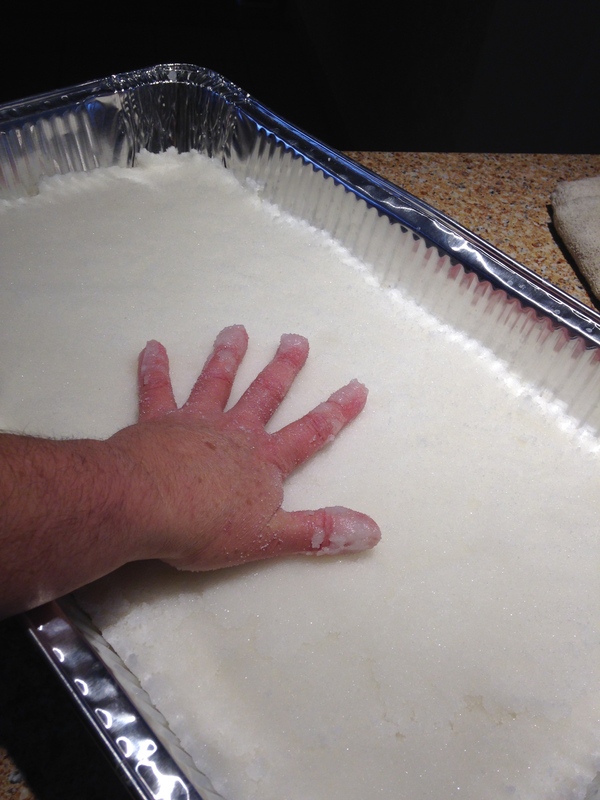 But if you don’t line the bottom, then its a good idea to flip the block and allow the bottoms to dry, as well. My pieces broke in some places, but for the most part, they are large, easy to handle chunks that will be savored and appreciated by the bees as they continue to survive a few more weeks of winter. Now we wait for a nice 40-50-something degree day so I can quickly pop these into the hives. Always good to bee prepared!